Waste management firm, BusinessWaste.co.uk, which hailed the advent of of the cryptocurrency age when it announced that is was to being accepting it as a payment for services has now reported that it is no longer accepting blockchain currencies – such as Bitcoin – because it is too volatile to be reliable. The company originally announced it had become the first refuse and recycling business to accept these virtual currencies as payment in 2017 in order to give flexibility to their customers in an increasingly digital age. However, the firm says that despite its efforts, the uncertainties of the market are making digital currencies an unreliable source of payment. Bitcoin’s descent below $3,400 yesterday has confirmed that it is no longer profitable to mine the cryptocurrency. The bitcoin price has been falling steadily since it hit an all-time high of almost $20,000 in December 2017, the year BusinessWaste began accepting it. It has since dropped by some 80 per cent over the last 13 months and dragging the wider market down with it. This volatility has come to be considered an intrinsic hazard of a currency whose value works much like traditional stocks and shares – where market rumour’s and movement have potentially massive knock-on effects on its value. 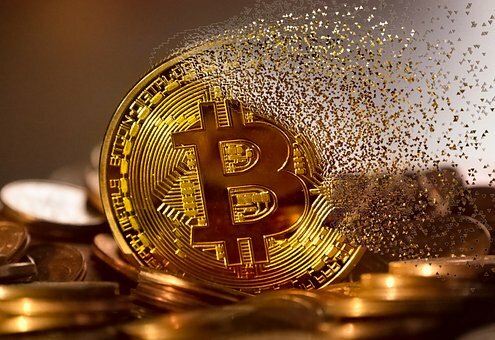 This could have potentially serious ramifications for businesses who accept crypto payments and then find themselves with a payment which has dropped significantly in value within a short period – such as in December 2017, when 1 BTC fell in value from £15,000 to £2,500 today in response a crackdown on improper practices in the market. Mr Hall aaded: “We’re reluctant to pull the plug on cryptocurrencies for now – but we have to think about the implications for the business.